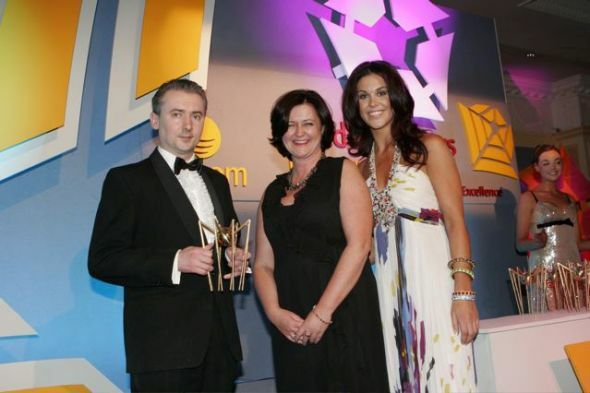 Presentation of Golden Spider award for Best Website in Education by Múirne Laffan, Managing Director, RTÉ Digital and Glenda Gilson, Model/TV Presenter. Principal: Pádraig Ó Beirn, BA, MSc, HDip Ed. 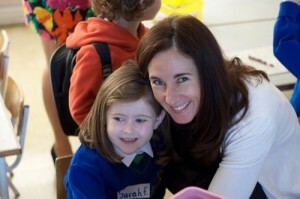 Special Education Teacher: Niamh Naughton, BA, MA, HDip Ed. Classroom Teacher: Caroline Lally, B.Ed. Classroom Teacher: Suzanne McDonald, B.Sc., HDip Sc., HDip Ed. Tick to receive our newsletter.